AS OF NEXT year in Denmark, the government wants to ensure retail businesses like clothes shops, petrol stations and restaurants are no longer legally obliged to accept cash payments from customers. This proposal, if approved, would be the country’s first step towards becoming the world’s first cashless society and the aim would be to reduce costs for businesses and increase their productivity. Reuters reports that financial institution lobbyist Finansraadet said going cashless would save Danish shops money spent on store security and time on managing floats and change and notes in the tills. Though it may seem like a drastic measure just to save a bit of time and money in businesses, it is not likely to cause major grief for Danish consumers with one third of the population already using a Danske Bank app which allows customers to pay for products with a swipe on their smartphone’s screen, The Independent reports. Meanwhile, in Ireland, it can still be a struggle in some areas to find a shop that will accept a debit or credit card and a move like the Danish government’s may not be so welcome. 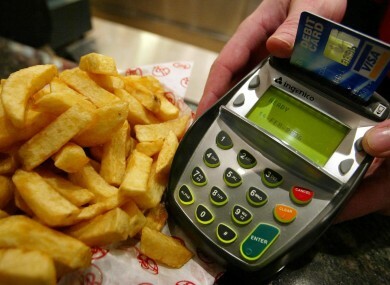 So, we want to know what you think: Would you like to see Ireland become a cashless society? Email “Poll: Would you like to see Ireland become a cashless society?”. Feedback on “Poll: Would you like to see Ireland become a cashless society?”.